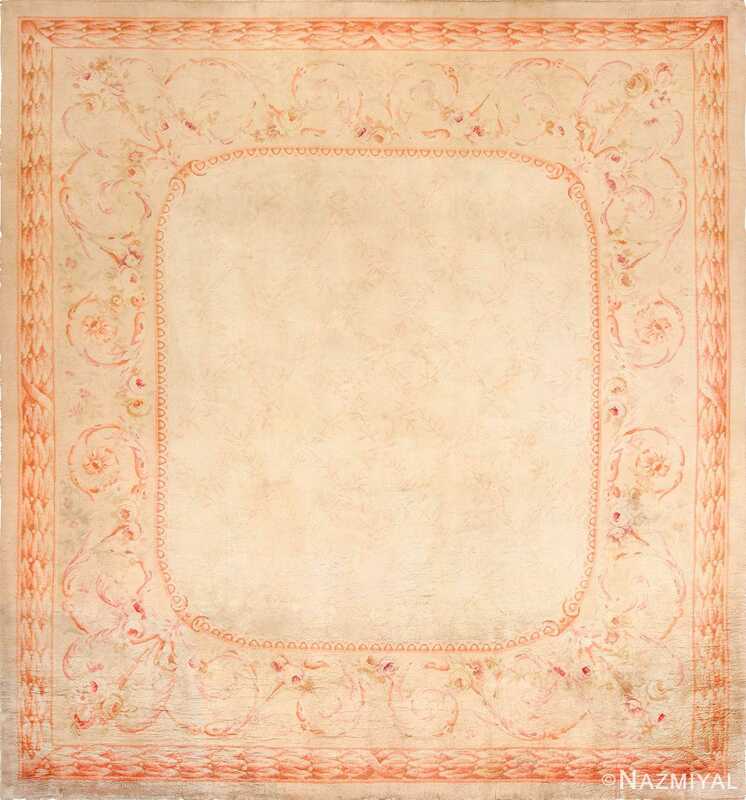 This grand antique Spanish Savonnerie carpet showcases an exquisite architectural medallion and interwoven arabesque encased by lavish neoclassical borders. 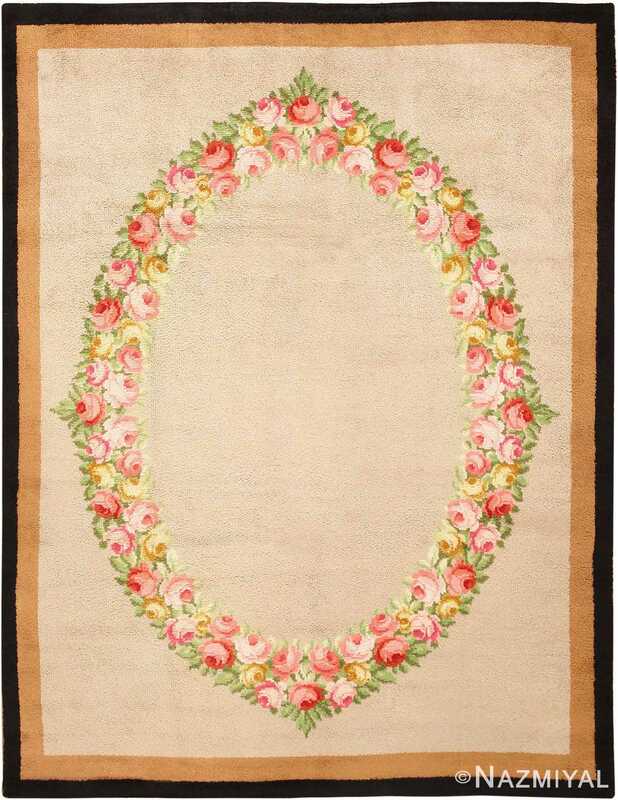 Spanish Rug, Spain – Drawn in Europe’s own neoclassical style, this antique Spanish Savonnerie carpet features an exquisite square composition rendered in clear heraldic colors that give the lush patterns a localized flavor. In keeping with the Savonnerie style, this stunning piece features an elegant assortment of architectural features, decorative sconces and trailing acanthus leaves with ornamental serrated edges. 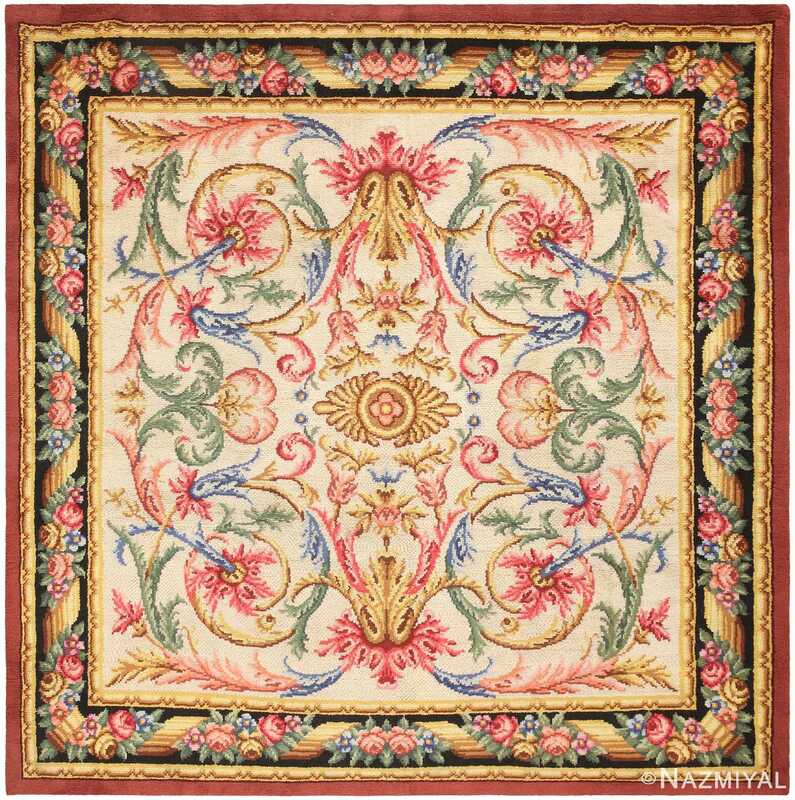 The luxurious neoclassical borders are filled with vibrant bouquet garlands that spiral around gilded coils. Millwork accents with precise shadows and clear golden hues line the edges of the borders and complement the gilded ornaments that are featured within the elegantly appointed field. This regal Spanish rendition of the Savonnerie style features a stunning variety of well-defined botanical motifs that are gracefully intertwined to create one expansive arabesque that weaves in architectural details and continental European influences. 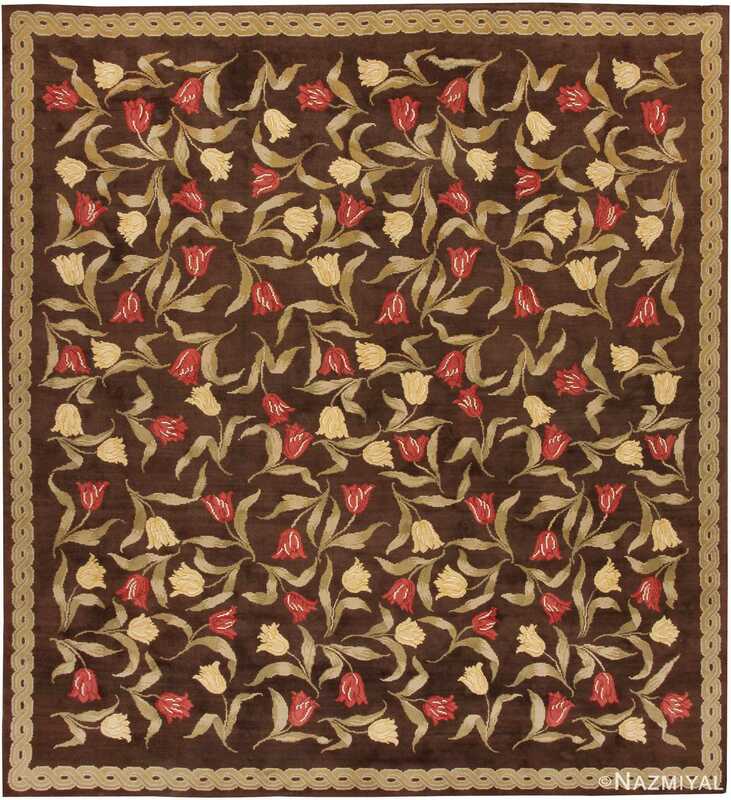 This elegant Savonnerie carpet features lush tulips strewn across a rich chocolaty brown field. The minimal presentation of floral details in this Spanish Savonnerie contrasts it beautifully with other examples. Already signed up? View your favourites.